The Factotums were formed from two groups who were all pupils at Audenshaw Grammar School and the members were Nidge Thomas,Jeff Lees, Ian Thornton and Steve Knowles. were spent in the attic of Nidge’s home in Fairfield Square, Droylsden. bookings on many of the weekends. enough for him to want to manage the group. By the start of 1964 the group were playing at larger venues over a far bigger area. 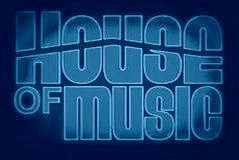 The different types of venues meant that the programmes were adjusted accordingly between the beat club and cabaret venues. an unknown title and origin (maybe a Ray Teret compostion) at Tony Pike’s studio in Putney, London. Merseybeat may have put Liverpool on the map in the 1960s, but Manchester bands like The Hollies and Herman’s Hermits sold millions of records in the same era. In April 1965 alone, three Mancunian acts took it in turns to top the charts in the USA, while another held the top spot in the UK. 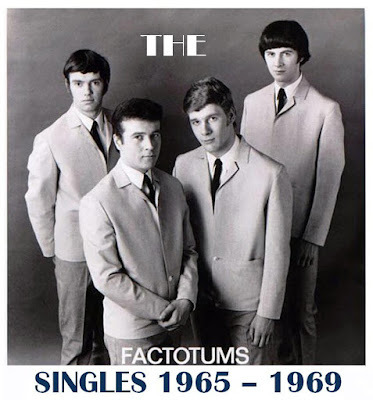 Though they never ‘made it big’ in the traditional sense, another Manchester band of the time, The Factotums, were signed by The Rolling Stones’ manager, supported The Kinks, played with Jerry Lee Lewis, Tom Jones, Pink Floyd and Cream, and toured Sweden with Manfred Mann. 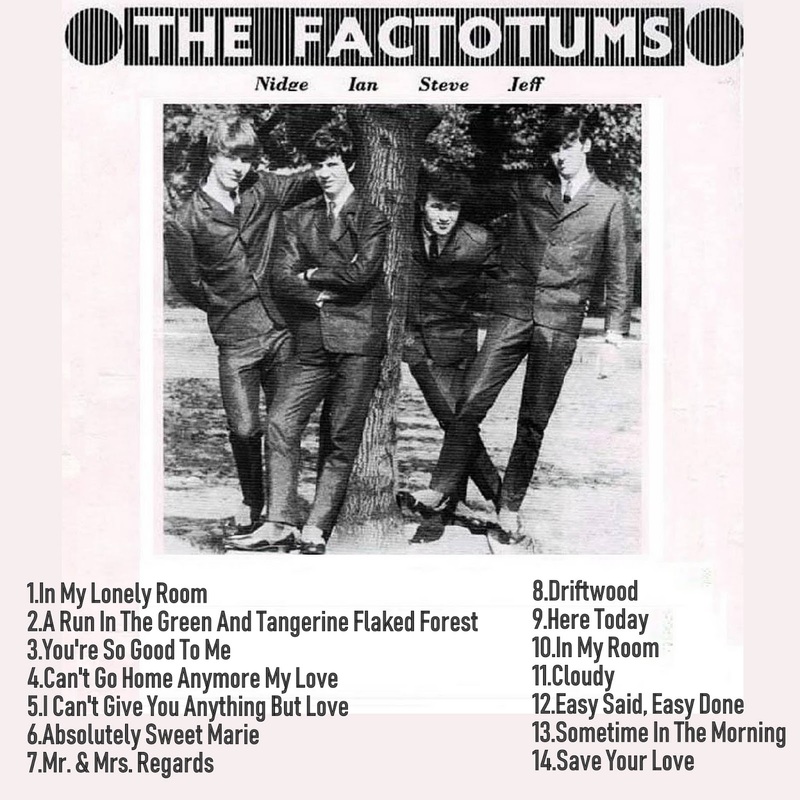 Factotums member Jeff Lees talks about Manchester’s 1960s club scene, a Carnaby Street re-style, a photo shoot with David Bailey and drinking tea with Mick Jagger.